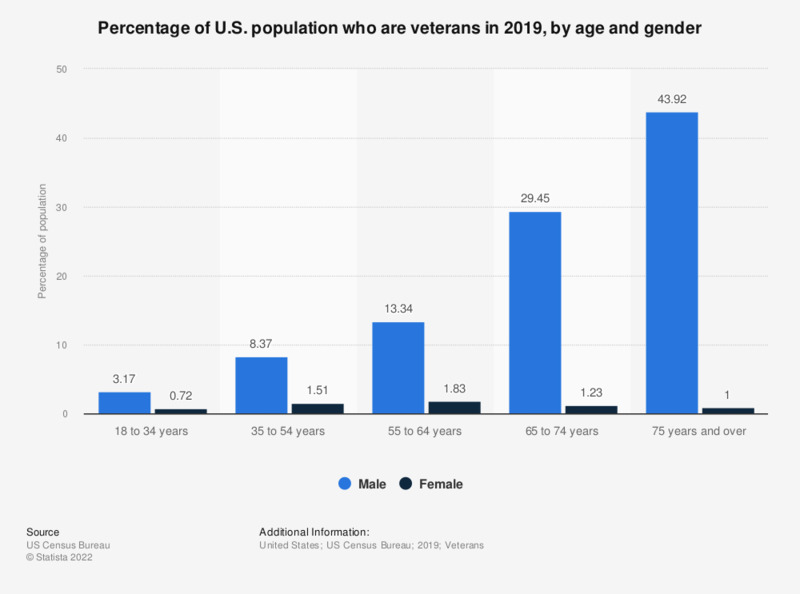 This graph displays the percentage of Americans who were veterans in 2017, distinguished by age and gender. In 2017, 47.42 percent of the male Americans, aged 75 years and over, were veterans. Percentages are calculated internally by Statista using source data.